Happy Columbus Day! I am huge on outdoor circuits, and love putting together boot camp style workouts. Here’s one I did with the ‘Boot(y) Camp’ crew, a fantastic group of girls I run boot camp for on Wednesday evenings (these ladies can work it). 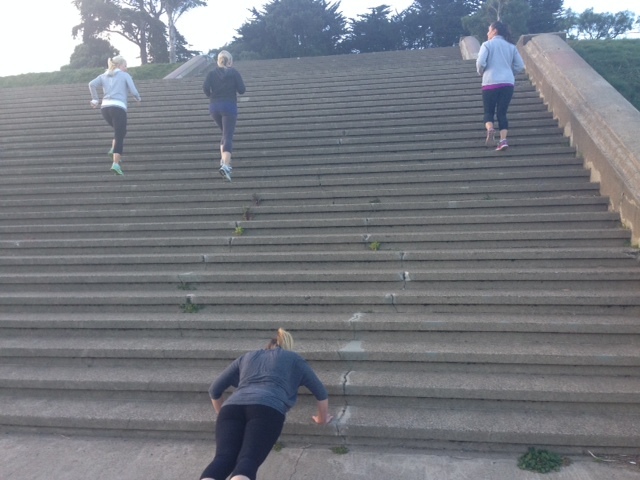 We did this at Alta Plaza Park amidst a gorgeous sunset…but this particular set can be done anywhere with stairs!